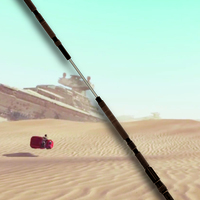 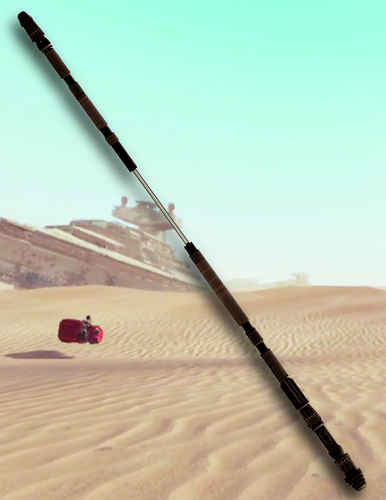 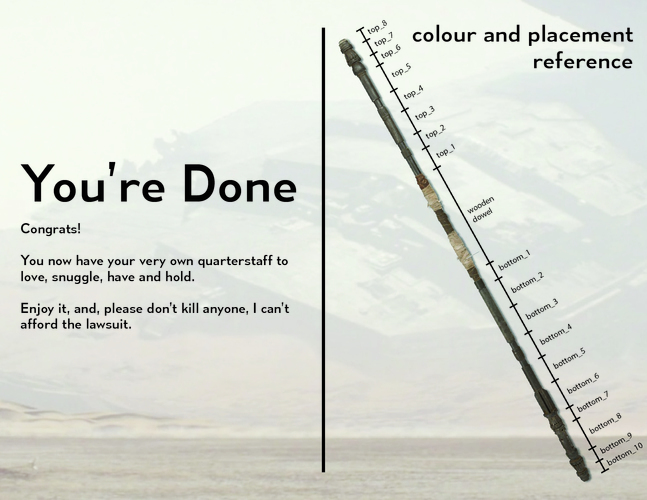 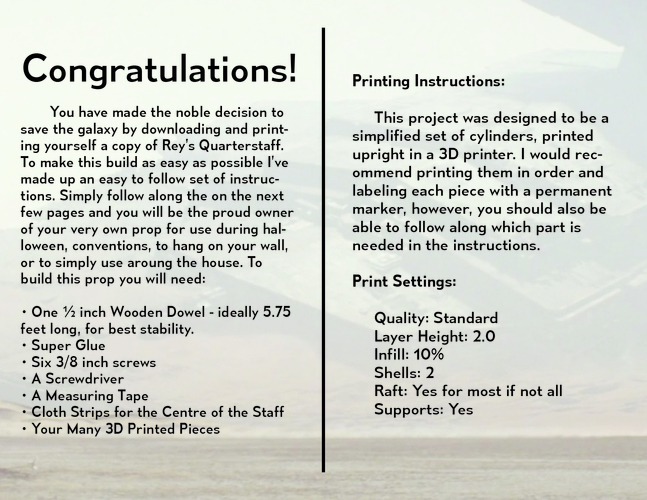 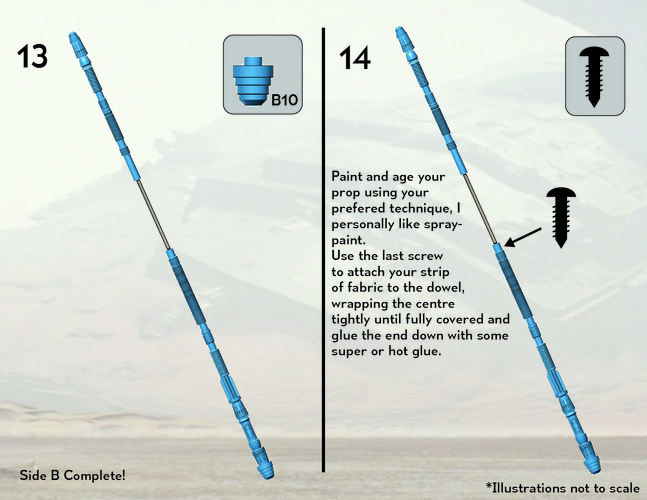 Hi There, I see you're interested in building your very own version of Rey's quarterstaff from the recent Star Wars movies, if so, you've definitely come to the right place! 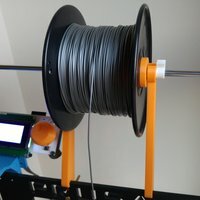 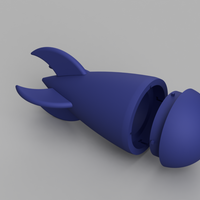 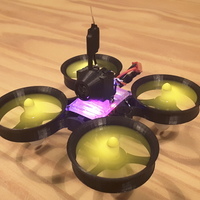 This is a great project to get started on 3D printing and prop building, meaning you should come out of this project with a fun piece to show off and use for costumes and conventions. 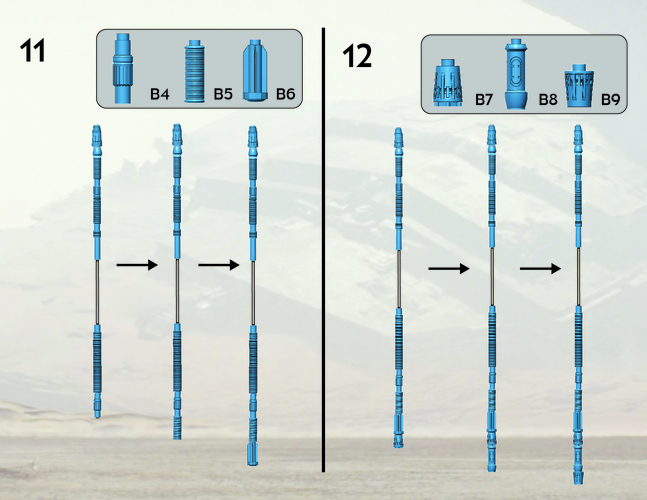 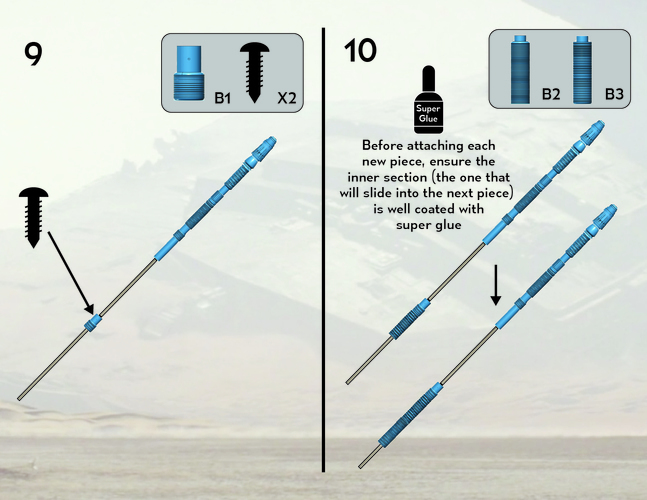 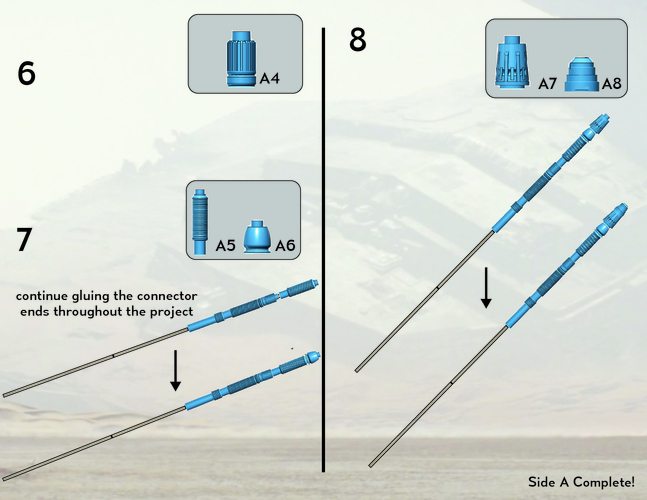 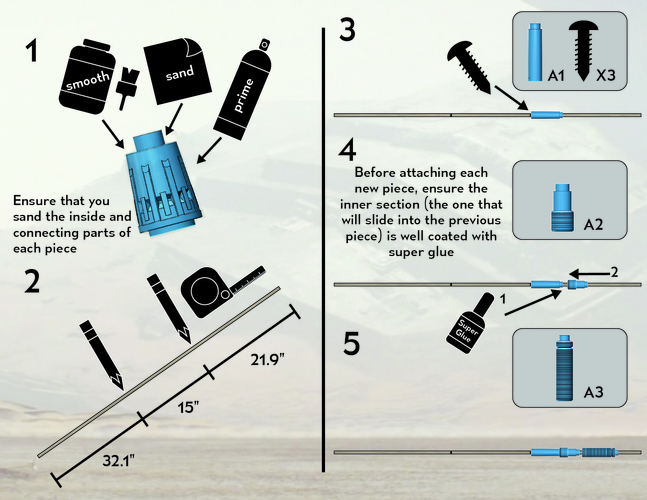 Also, everything fits together so I would also encourage you to print out some individual pieces to make your own lightsaber, feel free to send me some pics, I wanna see them!